When I was at my lowest a couple of years ago, I channelled what little energy I had left into a pipe dream. I didn’t have much money or direction. I was working on myself from the inside out but wasn’t sure of the path. But my soul whispered to trust; trust in myself. I’m not sure when Iceland came onto my radar, but it has always captivated me. It always seemed to me to be a distance mythical land that would remain thriving within my imagination and never become a reality. Until I took action and made the decision to invest in myself. I booked a flight to Iceland with a credit card without much time to reconsider or second guess myself. I didn’t have a plan, I just took one small step after another to create this trip away. Booked the flight, then thought about places to stay. I thought this would be my only chance to get to Iceland so I’d try to see as much as the country as possible. I booked a hire car, and started to plan my route around the whole island, stopping each night in a different place. Hotels, motels and hostels, whatever was available I made the bookings. My dream was becoming a reality because I was believing in myself. Believing that I could do this. 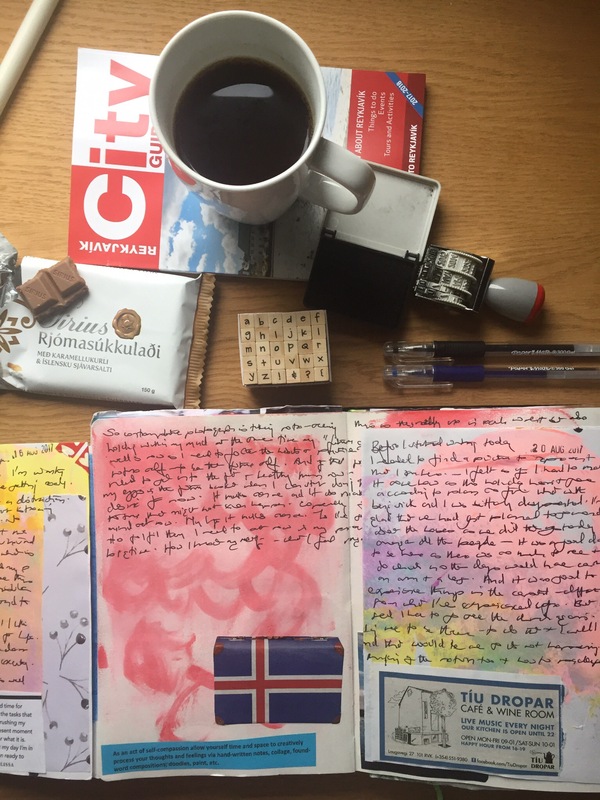 By the time I reached Iceland, May 2015, I had a map and a plan but I was still scared. I’d never visited the country before, I hadn’t driven there, and I certainly didn’t speak the language. But I’d been dreaming about this and now it was happening so I made a promise to myself to just enjoy it. Go with the flow and enjoy. The sun was shining that first day I drove north out of the Reykjavik, onto the ring road, heading to the Western peninsula of Snæfellsnes. It was just me and Beyoncé’s Lemonade, in that car. This trip to Iceland changed my life. And that’s not hyperbole because by the end of my time there, I felt empowered, I felt free and back to me, the authentic me. I had done it all by myself for myself and I felt amazing. I also knew I had to return to Iceland, and keep returning to develop our relationship as we were speaking to each other on a deep level, on a soulful level. I have returned to Iceland twice since then and I’m planning to return in 2018. And I’d like you to come with me. I didn’t have anyone with me to show me the way, so I found my way around one step at a time. I would love to be your guide, your safe and supportive passage into Iceland. I would love to share my love of Iceland with you. Go check out the Iceland – The Retreat page, to see what I have planned for our time together. Any questions, just get in touch.